Dorset Fire and Rescue Service has received national recognition for the high standards and the commitment to good practice of the volunteering scheme that it operates. DFRS is only the second Fire & Rescue Service in the country to have ever achieved the highly sought after Investing in Volunteers (IiV) award, the UK's quality standard for volunteer management. The Investing in Volunteers Quality Standard has been awarded to Dorset Fire and Rescue Service following an assessment against a range of good practice standards. The results showed that the Fire Service excelled in all aspects of working with its volunteers. Nicky Jenkins, Volunteer Coordinator at Dorset Fire and Rescue Service said: "I'm absolutely thrilled about this award. Our volunteers are such a valued part of the Fire Service. It's a great achievement to receive national recognition for our Community Volunteers scheme. “This accreditation is an honour for the whole Service. This includes the teams out on station who have welcomed the Community Volunteers, staff who always consider them when planning, and for the volunteers themselves who've helped the Fire Service to expand the much valued work that we do across the county." The accreditation is confirmation that Dorset Fire and Rescue Service uses good practice in its involvement of volunteers, and recognises the valuable input that volunteers provide to the Service. Dorset Fire and Rescue Service joins only 800 other organisations throughout the country that satisfy the nine indicators of volunteer management, which includes ensuring that volunteers are properly and fairly recruited, supported, protected, and made to feel appreciated for their time and hard work. 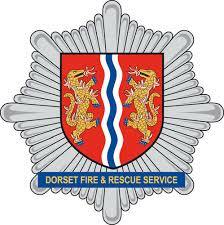 Visit www.dorsetfire.gov.uk to find out information on new volunteering opportunities with DFRS.